Box containing 144 low ankle length shoe fitting socks. These also work well in the summer in those instances where you don't want to wear socks in a shoe but you don't want bare feet! Nylon stocking type material. Quantity: 144 singles. These work well for Boat/Deck shoes. White cotton terry topped foam insole to keep your feet fresh and comfortable. 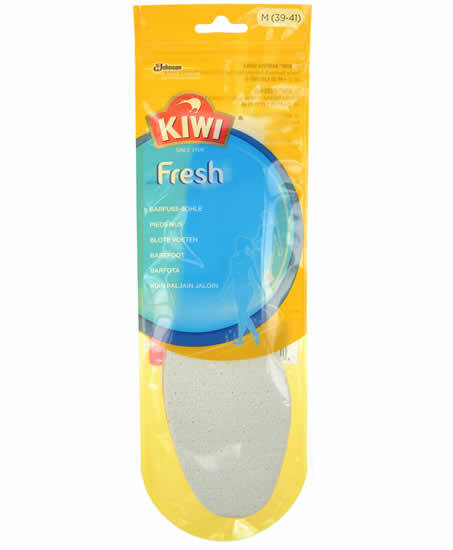 A comfortable and lightweight insole! (Can be trimmed). Unisex. Per pair. 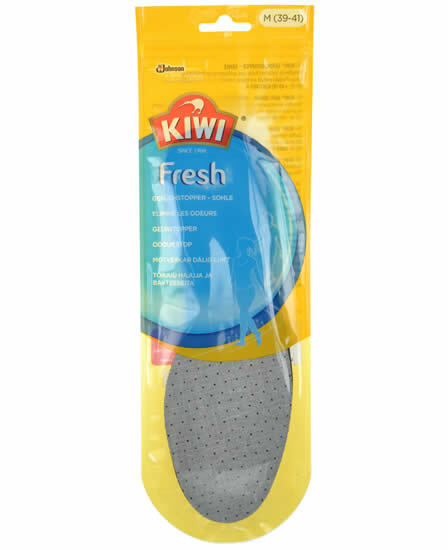 Cushioned insole with charcoal and antibacterial treatment to help keep your feet fresh and odour free. (Can be trimmed). Unisex. Per pair. The barefoot-insole for fresh feet on hot days. Cotton terry surface - absorbs excessive humidity. Coco fibre base - airy natural material, cushions the foot and allows it to breath. Washable. Black. Sizes 36 - 46. Per pair. The permanent action of silver integrated into absorbent Trevira Bioactive terry cloth and breathable natural fibres provide odour-free, fresh and dry feet. Anatomically shaped, it relieves and supports the heel, metatarsus and longitudinal arch. Absorbs impact during walking. Hand washable. 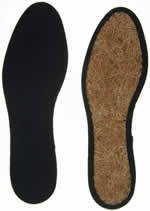 In short: A comfortable supporting insole for when you want to wear shoes without socks! Sizes 36 - 46. Per pair. Barefoot spray. Reduces friction with the shoe. Specially formulated to give maximum comfort whilst wearing shoes barefoot. 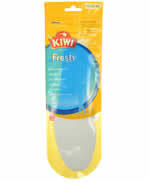 Your skin will feel pleasantly dry and fresh whilst helping to reduce rubbing and soreness from shoes. 75ml aerosol. PLEASE NOTE: We cannot ship this product for all International and Non UK Mainland deliveries as it is an aerosol. Angel Feet Gel Toeposts "invisible" gel cushions offer gentle protection for toes and cushioning for the balls of your feet. Suitable for all flip flops and toe thong style shoes and sandals. Each pad weighs 12gm; Maximum dimensions: 9.5cm long x 7.5cm wide x 1.5cm high. 1 pair. Angel Feet Gel Slingrips are adhesive gel strips ideal for slingbacks and strappy shoes. Slingrips adhere to your slingbacks and straps of your shoes. Slingrips help prevent straps from rubbing and slipping. 2 pairs per pack. 9.5cm long and 7mm wide with self adhesive backing. May be cut to size. 2 Pairs.